Erin is a performance-driven senior executive with 19 years of channel sales management, team building, channel strategy, business development, and channel marketing experience. Erin is recognized within the IT industry for record achievement and has received multiple industry awards including CRN Channel Chief and Women of the Channel Awards for several consecutive years. 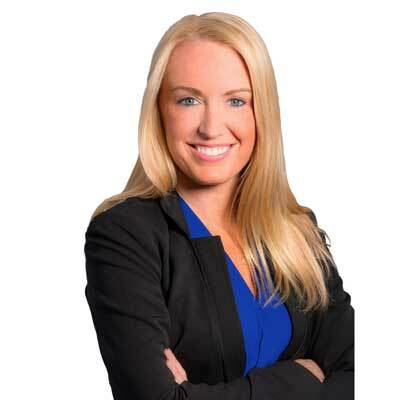 Presently she is the VP of NA Channel Sales at Sophos leading a team of over 100 people and tasked with growing the North American sales through MSP, regional, and national channel partners. Prior to Sophos, Erin served various roles at Arcserve and CA Technologies, including VP, President of North America Channel Sales and VP of NA Sales, for CA's Data Management Division. Erin also spent 10 years at Websense in various channel management roles, including Sr. Director, WW Channel Strategy and Operations. In this role, Erin was responsible for executing against the company's global channel sales strategies and initiatives, as well as ensuring the success of its ChannelConnect Global Partner Program. Erin is originally from Chicago, IL and attended DePaul University where she received her Bachelor of Science Degree with a Major in Marketing and Minor in Economics. Erin currently resides in San Diego, CA. As the leader of Sophos' Partner Advisory Council (PAC), Erin continues to play an active role in the development and execution of innovative strategies to improve the PAC, which are largely driven by direct input from partners. Erin ensures channel partners have a strong voice in key decisions made on everything from Sophos' roadmap to its incentives and communications programs. Using valuable feedback from the PAC program, Erin and her team have been able to offer programs and initiatives that directly benefit Sophos channel partners and allow them to take advantage of next-gen security solutions for their customers, like Sophos Intercept X, to ensure they are able to properly defend against evolving cyber threats, such as ransomware and zero-day exploits. This year, Sophos will increase its overall MDF investment and continue to support its broader partner base with MDF. Erin and her team will explore opportunities to work with partners who are well positioned to take next-gen endpoint and network security products to market. Erin and her team will further educate partners on the cross-sell opportunity of Sophos' cloud-based management console, Sophos Central. The platform makes it easier than ever for partners to deliver Synchronized Security and earn more of customers' security budget. Erin also aims to increase partner profitability through the launch of aggressive promotions and incentives in 2018. I admire Ellen DeGeneres for her ability to bring much needed happiness and levity into the world. Don't sweat the small stuff. Avoid getting worked up about petty issues because there will be things in life that are far more intense that you will need to reserve your strength for to fight through. I'd love to be on the forefront researching advancements in deep learning technologies, like Sophos' data scientists.